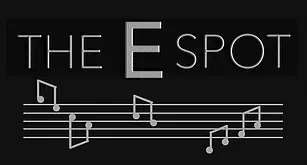 David will be singing with New York-based musical director Michael Lavine at the E Spot Lounge in Studio City, CA. Tuesday April 18th 7:30 pm. $15 ($10 with the code Gershwin for an early online purchase discount) + 2-item food/beverage minimum. Featuring: Amy Brothman & Dianne Fraser, Alexis Carra, Fay DeWitt, Shelly Goldstein, Ilene Graff & Ben Lanzarone, Evelyn Halus & Oliviana Halus-Griep, Juliana Hansen, Greg MacKellan, Barbara Minkus, Joanne O’Brien, Autumn Reeser, Sammy Williams, David Zack and more!